Driving on the motorway can seem daunting, but it really doesn’t have to be. In fact, as 2Pass explains, motorways are the safest roads to drive on, compared to town and country roads. However, they are faster, which can be scary to some drivers – especially people who have less experience on the roads, such as new and young drivers. We all know we have to concentrate when driving generally, but in terms of motorway driving it is a slightly different sort of concentration. Actions are happening quicker, because vehicles are travelling faster, therefore you may be required to act quickly to something that has happened in front of you. For example, a car trying to overtake pulls out in front of you, resulting in you either having to safely change lanes yourself or braking if necessary. To help aid your concentration on when driving on motorways it’s a good idea to take breaks if you’re heading out on a long journey. The AA advise that drivers “take regular fifteen minutes breaks in journeys over three hours”, and aim to stop every two hours in order to maximise concentration and prevent them from becoming fatigued. Also, drivers who are insured with insurethebox will increase their chances of earning additional Bonus Miles on their policy by taking regular breaks on longer journeys. Not all motorways are the same either; 2pass explains how the motorway will either be urban or rural. Now, what you have to remember is the quieter motorways (rural) can become tedious, making you focus on the road ahead and traffic conditions even more so. The urban motorways are seen as the busier ones, requiring your attention all around you and not just straight ahead. 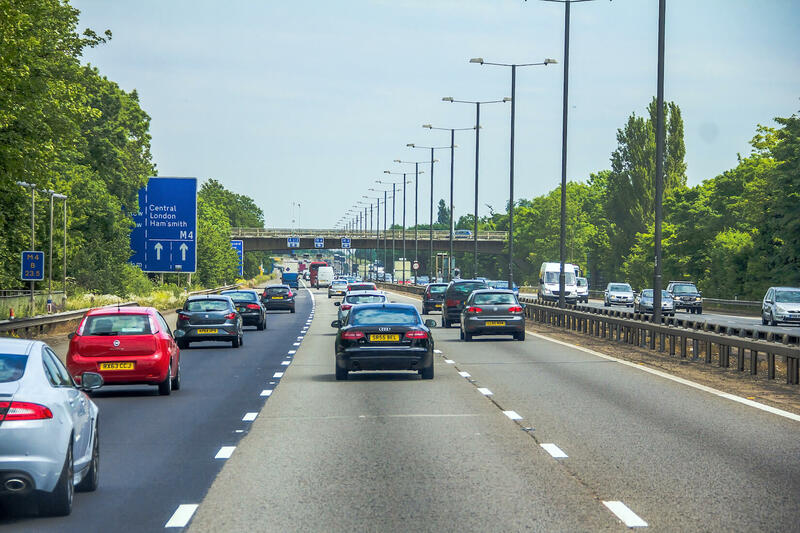 These types of motorways also have an electronic signal system above each lane for you to take note of and abide by, or to warn you about a problem further along the motorway. When you are approaching a junction that is joining the motorway, if it is safe to do so, it’s a good idea to move to the middle lane so that the incoming traffic can join the motorway safely. Before changing lanes always remember to mirror, signal, check any blind spots and only manoeuvre if it is safe to. When you join a motorway you will normally join via a slip road. This piece of road is for you to get up to the same speed as the motorway traffic so you can connect to it efficiently, and without holding up traffic already on the motorway. The speed limit for a motorway is 70mph – although this is not a target, the speed is an absolute maximum. As the speed is faster on the motorway, it is critically important to keep a safe distance from the car in front of you. The general rule of thumb is to adhere to the two second rule – as the minimum distance that should be between you and the vehicle in front of you. In bad weather, it should be elevated to four seconds. This rule doesn’t include the stopping distance; therefore remember to make sure you are far enough away from the vehicle in front so that in an emergency you won’t become involved in an accident. According to Motoring Assist, when you are driving along the motorway you should always remain in the left hand lane (the slow lane). You should only drive in the middle and far right lane (fast lane) to overtake a vehicle. Once you have overtaken a vehicle, you should then safely move back to the left hand lane. It is now illegal to remain in the middle and fast lane and carry on driving down them, once you have finished overtaking a vehicle. You have to always return to the left hand lane, because if you hog the middle and fast lane you are more likely going to hold the rest of the traffic up – and then the flow of the traffic will become slower, unnecessarily. Plus, drivers behind you will become frustrated with you, causing road rage, which is something everyone is encouraged to avoid. If you do feel concerned about driving on the motorway, or have a fear about driving on these faster roads, check out our blog post about how to overcome a fear of motorway driving. With these few simple tips and reminders, hopefully your next motorway journey will be a little easier and safer for all road users.